Located in the heart of Mosman Park is Tsunami Japanese restaurant. It has been a long time since my last visit to Tsunami and I was so excited to visit it again and this time with a group of dining partners. Tsunami evokes many memorable memories to me, in particular, my 18th which was held at Tsunami. With an extensive drinks and food menu, I always find it hard to decide what to order at Tsunami just because everything sounds good! We decided to order some dishes to share around the table. 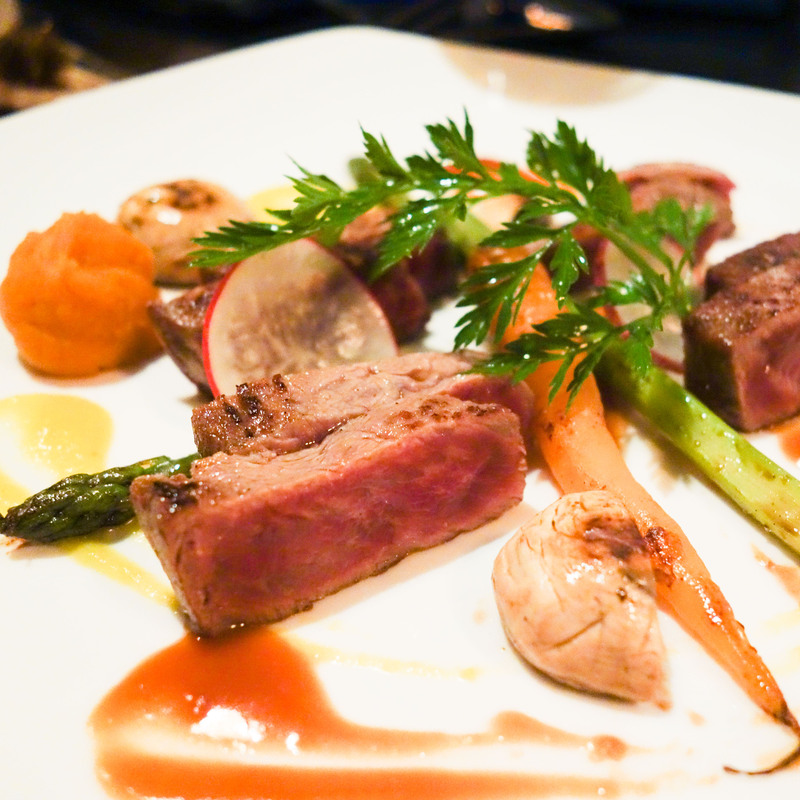 The Grade 7 Wagyu dish we ordered was delicious. It was cooked perfectly to medium, leaving hints of pink in the middle. So juicy, yet so tender. I thought that the highlight of the evening was the lamb ribs, which were braised & roasted with spicy yellow capsicum. 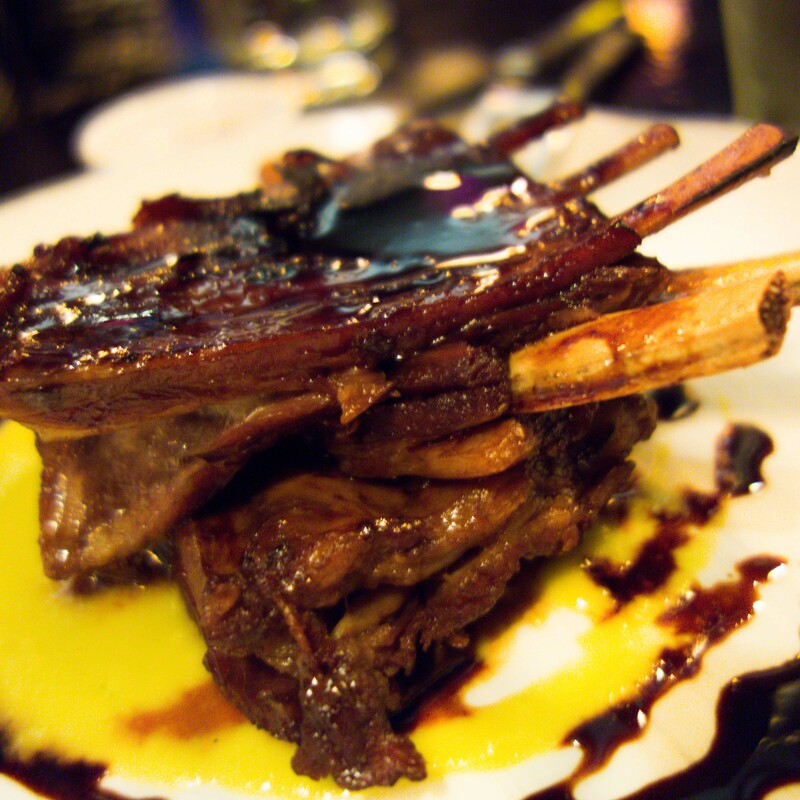 It’s rich in flavour and very tender, with the meat falling off the bone easily. Looking around the table, everyone agreed that this was the dish of the night. It was indeed a clear winner. 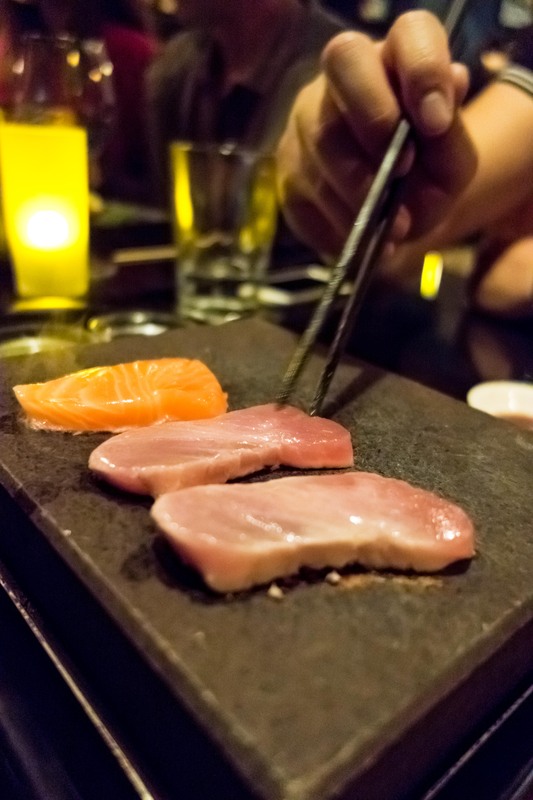 You can’t leave Tsunami without trying their Ishiyaki dishes which are meals served on a volcanic rock at 400°C where the food is cooked naturally in its own juices. Yes, you can have a bit of fun cooking your food too but just be careful not to burn yourself or overcook the food! For our table, we had the New style sashimi, seafood combination and the Wagyu steak which comes with suitable dipping sauces to give a punch of flavour to the steak, seafood or sashimi. 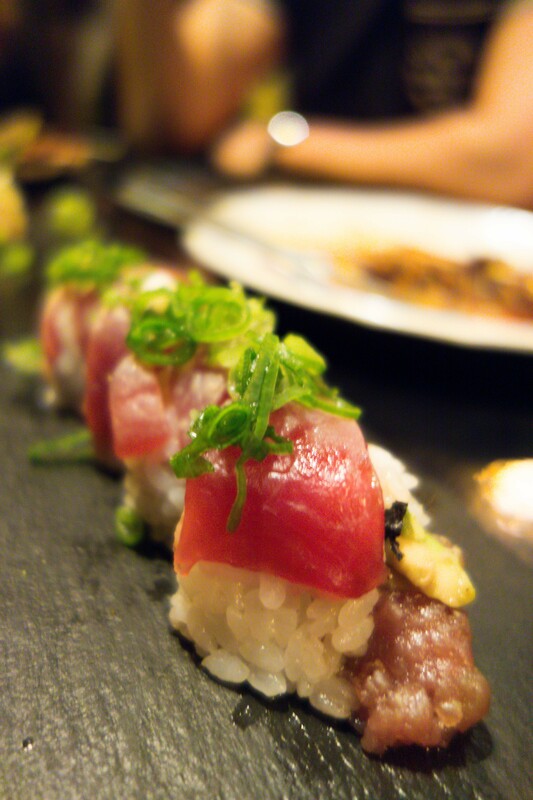 We also shared a seared tuna roll which comprises of tuna and avocado inside, ginger, scallion and aaburi (torched) tuna outside. The tuna was fresh and seared perfectly to melt in your mouth, complementing well with the fresh flavours from the avocados, ginger and scallion. To finish, we had desserts to share. 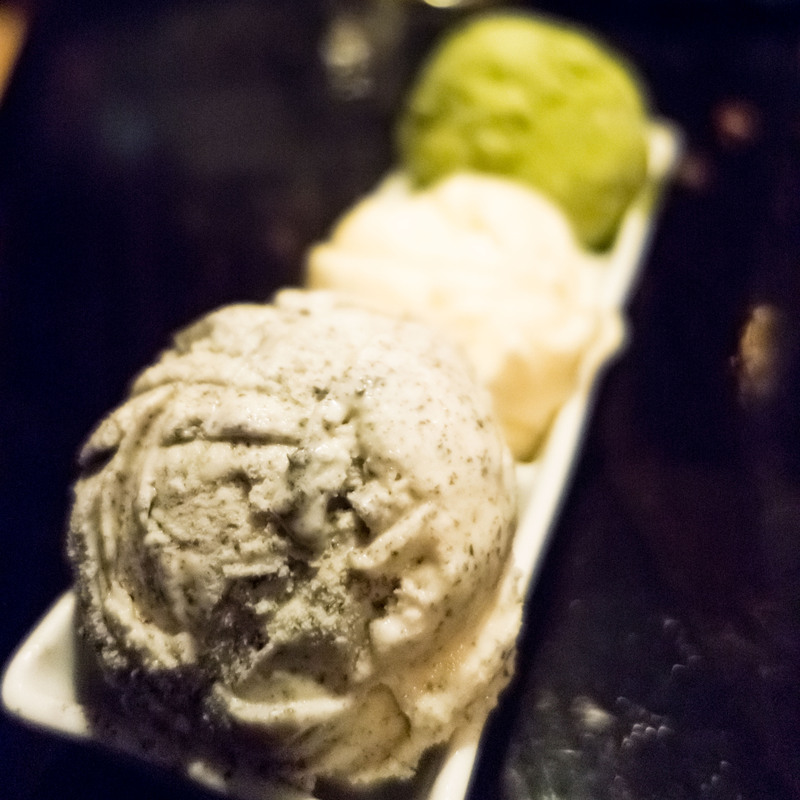 We shared three scoops of ice cream which comprised of black sesame, ginger and green tea. For me, green tea will always be my favourite. Apart from green tea, I enjoyed the black sesame ice cream too. We also had creme brulees to share. 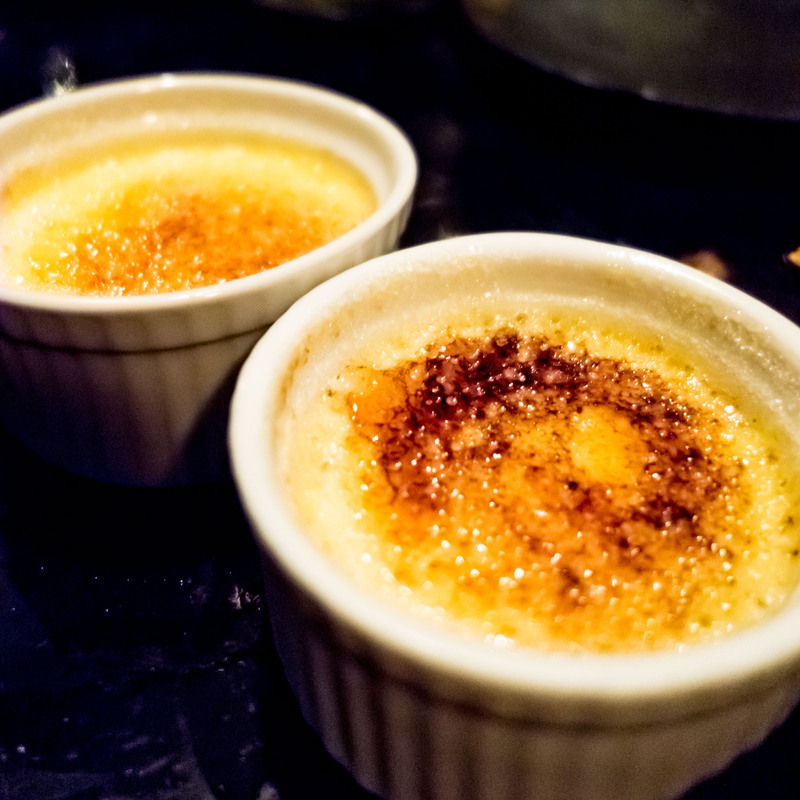 The best part of the experience is to watch the creme brulee flamed and caramelised at the table. Breaking through the top caramel layer revealed the smooth and luscious custard underneath. Overall, we enjoyed the food at Tsunami very much and I’m looking forward to be back again to try other dishes on their menu. If you have the 2015/2016 Entertainment Gold Card, you can use it here too!